Two different pairs of ladies named Lowndes leased Cosgrove Priory from 1808 to 1817 and from 1848 to 1856. They were connected with wealthy families in Whaddon and Winslow and all were unmarried. 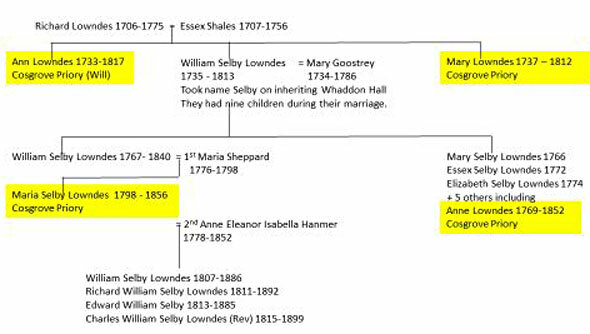 The first pair, Ann and Mary Lowndes, were sisters, had family links with Snelshall Priory, the site of which is at Tattenhoe in Milton Keynes. 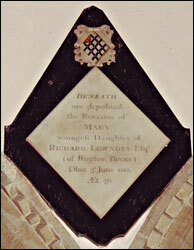 This was also connected to the Longuevilles of Wolverton and Cosgrove. 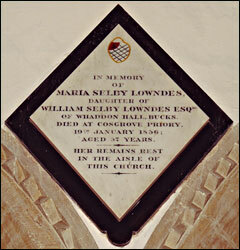 Mary Lowndes died in 1812 and her monument in the Nave of Cosgrove Church shows that she was buried there. Proved at London 1st March 18VI before the Worshipful John Dodson Doctor of Laws and Surrogate by the Oath of The Reverend Richard Lowndes Clerk the Nephew and sole Executor to whom admon was granted having been first sworn only to administer. The second pair of Lowndes ladies were an aunt, Anne Lowndes, and her niece, Maria Selby Lowndes, who occupied the Priory from 1848 to 1856. 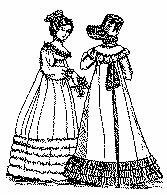 These ladies seem rather to have been overlooked and passed over by their families, presumably because of their spinster state, and they must have been quite relieved to have been able to lead their own lives at Cosgrove. 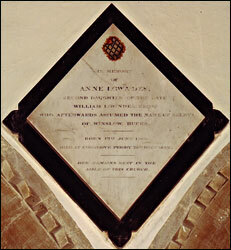 They are also both interred in Cosgrove Church, Anne in 1852 and Maria in 1856. The Will of Anne Lowndes of Cheltenham in the County of Gloucester spinster second daughter of the late William Selby Lowndes of Winslow in the County of Bucks Esquire I appoint my nephew Thomas Lowndes Esquire my Executor and I give him the sum of Two hundred pounds I give to my niece and God-daughter Maria Selby Lowndes the sum of one hundred pounds and all my plate and plated articles linen china books …. of Garnetts boxes of trinkets and the pictures in such case and boxes or in any of them and all my cases of goods now standing in the warehouses or being in the care of Messieurs Wells and Company Win Street Cheltenham and about to be removed to the house or premises of Mrs Essex Humphreys Ivy House Chippenham or where ever the same …. be at the time of my decease I also give to the said Maria Selby Lowndes my close carriage and packing cases belonging to it for her own absolute use I give my watch with its appendages to the daughter of Mrs. Charlotte Wright by her first husband I give to William Selby Lowndes of Whaddon Hall Bucks Esquire To Thomas Selby Lowndes of the same place Esquire To Richard Selby Lowndes of Bletchley in the County of Bucks Esquire To Charles Selby Lowndes of North Crawley in the said County of Bucks Clerk To Hary? Selby Lowndes of Walton Lodge in the County of Bucks Esquire and To Edward Selby Lowndes of Winslow aforesaid Esquire the sum of nineteen guineas each as a mark of respect I give to my nieces the said Charlotte Wright Louisa Howard and Clara Howard the sum of twenty five pounds each as small tokens of my regard And also all my clothes and wearing apparel to be equally divided between them I also give the sum of twenty five pounds to my nephew The Reverend William Howard of Whitchingham in the County of Norfolk Clerk as a remembrance As to all my real estate and the Residue of my personal estate I give and bequeath appoint and devise the same unto and between The Reverend Thomas Howard of Worldham in the County of Hants Clerk and his two sisters the said Essex Humphries and Lydia Goldesborough of disco? In the County of Somerset Widow in equal shares as tenants in common and in the event of the death of either of them during my lifetime then to the two survivors in equal shares as tenants in common or to the one survivor absolutely as the case may be In witness whereof I have hereunto set my hand this twenty sixth day of December one thousand eight hundred and forty nine. This is a Codicil to the last Will and Testament of me Anne Lowndes (now residing at the Priory in the parish of Cosgrove in the County of Northampton) spinster bearing date the 26th day of December one thousand eight hundred and forty nine Whereas I have by my said Will given and bequeathed to my niece Maria Selby Lowndes All my plate and linen and also my carriage I do hereby declare that I have disposed of such plate linen and carriage And I revoke said bequest And whereas I have by my said Will given and bequeathed to my nieces Charlotte Wright Louisa Howard and Clara Howard all my cloathes and wearing apparel Now I do by this my Codicil revoke the said bequest and in consequence of the attention and faithful service of my servant Elizabeth Jaquest I give and bequeath All the same cloathes and wearing apparel (Except all lace dresses veils scarfs and other lace) unto my said servant Elizabeth Jaquest if living with me at the time of my decease) and I give and bequeath such lace dresses veils scarfs and other lace unto my said nieces Charlotte Wright Louisa Howard and Clara Howard equally to be divided between them I also give unto my said servant Elizabeth Jaquest (if living with me at my decease) one years wages in Addition to such sum as may be then due to her I give and bequeath to Mrs. Henry Mancel of Cosgrove a legacy of five pounds as a small token of my regard I also give and bequeath to John Christopher Mansel Esquire a … of five pounds illeg of my esteem and regards I give to Harriett Parker? And Harriett Taylor who have attended me as nurses during my illness a legacy of five pounds each in addition to what may be due to illeg wages at the time of my decease provided they are severally attending me at the time of my decease I also give and bequeath the several following legacies to the servants of my said niece Maria Selby Lowndes namely To Mary Cla… five pounds The following 12 rows of text are very blurred. ………. Shillings To Ellen ……… ………. 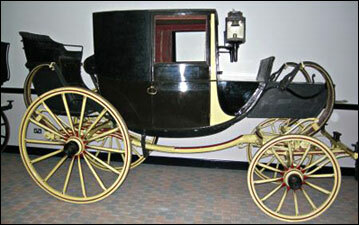 And ……… Swannell twenty shillings provided…………. At the time of my decease …………. Such will in all respect……. Said codicil…..